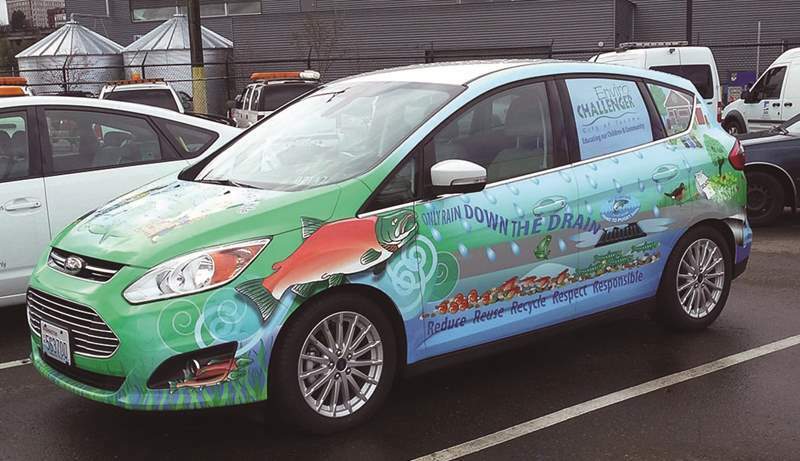 Car wrap design for two vehicles used to deliver programs to local schools, k-12. 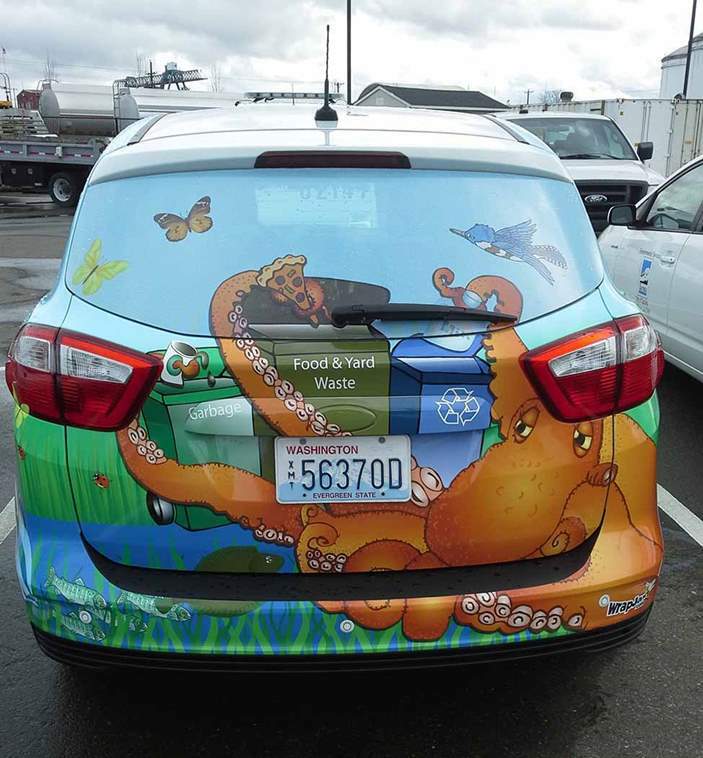 The car designs were developed though discussions with the educators to include progam goals presented in a way young people would enjoy viewing that were bold and workable on a vehicle template. 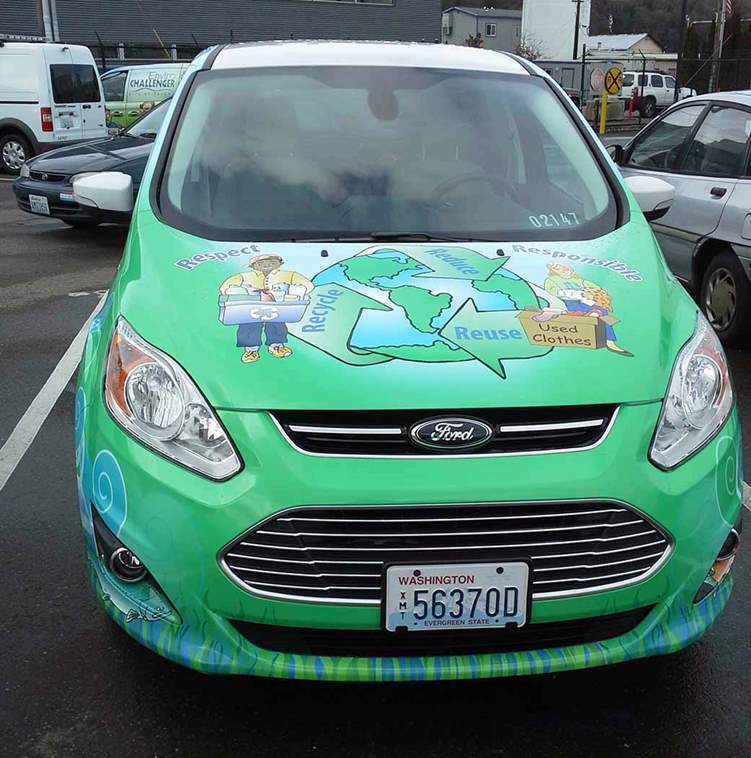 WrapJax, a car wrap company in Tacoma were responsible for installing the design.